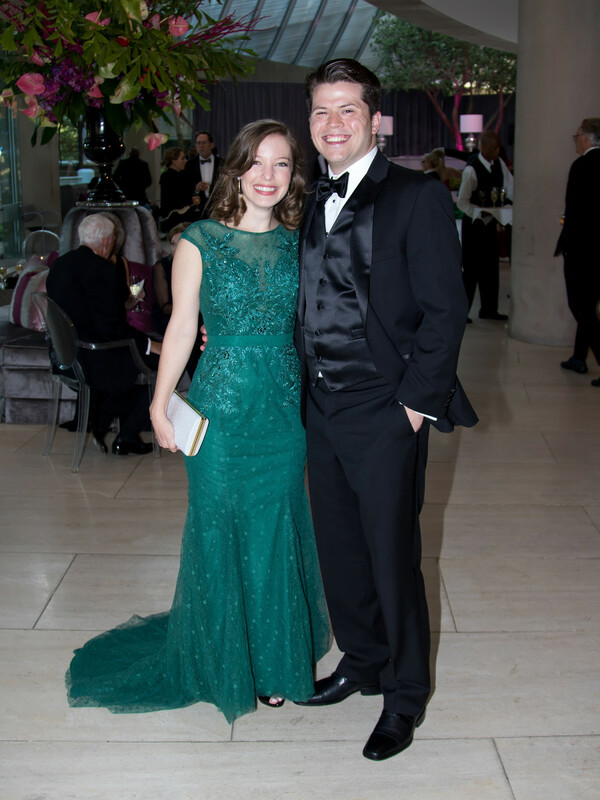 Before he departs for New York, music director Jaap van Zweden made sure to leave a lasting impression during his final Dallas Symphony Orchestra gala. 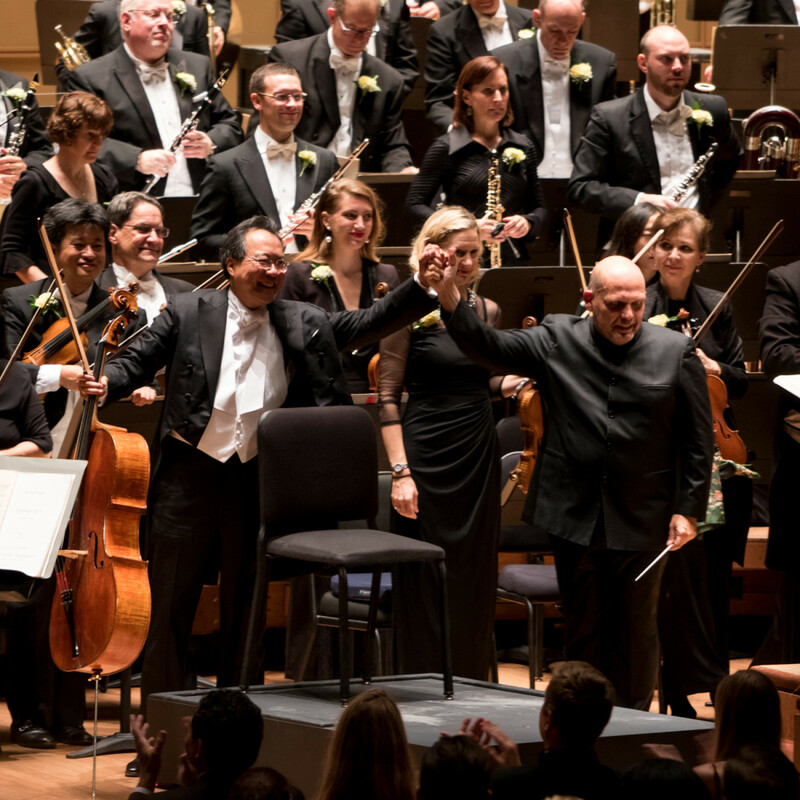 The maestro conducted three pieces from Dvorak and one from Mahler, all to rapturous applause from the black tie-clad audience. 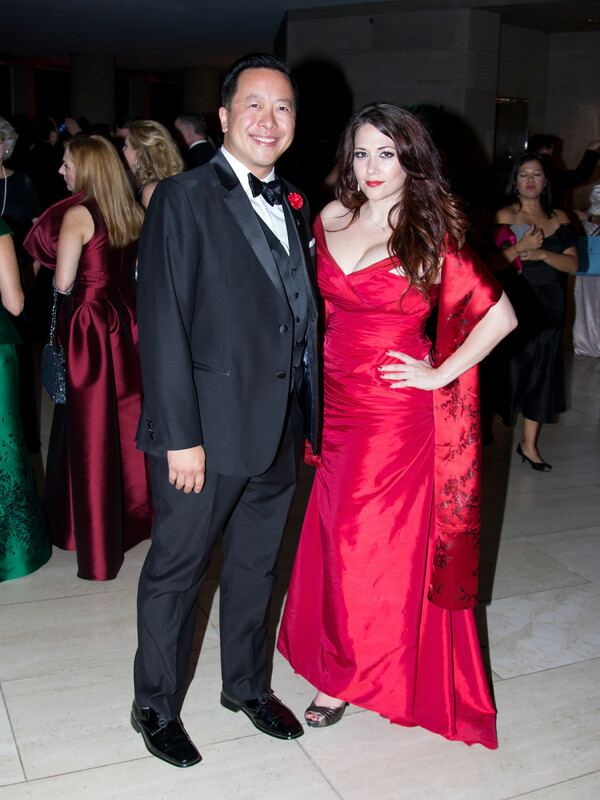 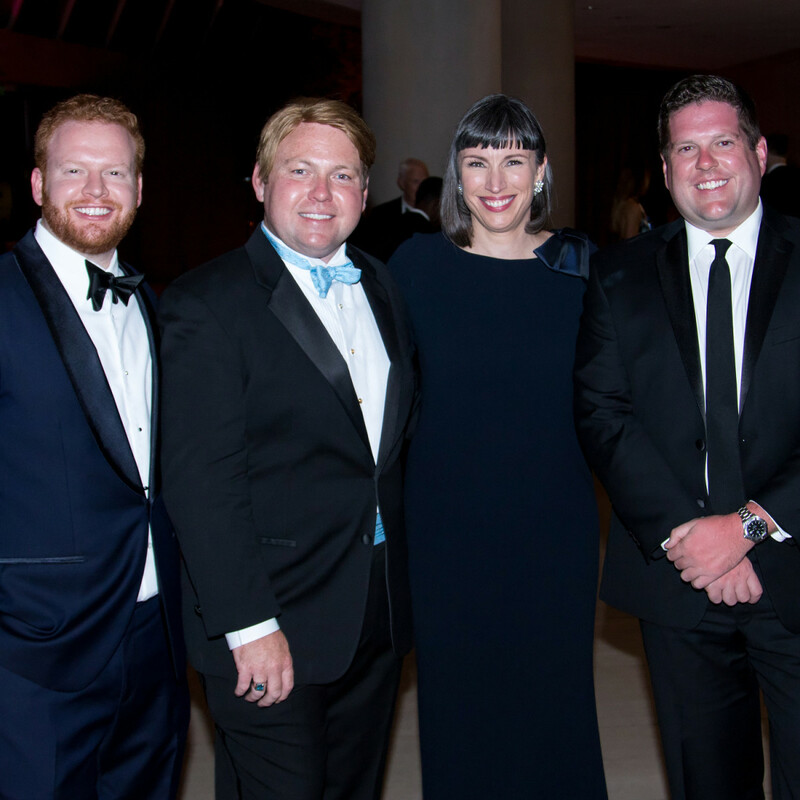 DSO interim president and CEO Michelle Miller Burns remarked that van Zweden's final celebration season, of which the Capital One-sponsored concert and gala was the kick-off, would highlight the orchestra's artistic achievements under his past decade of direction. 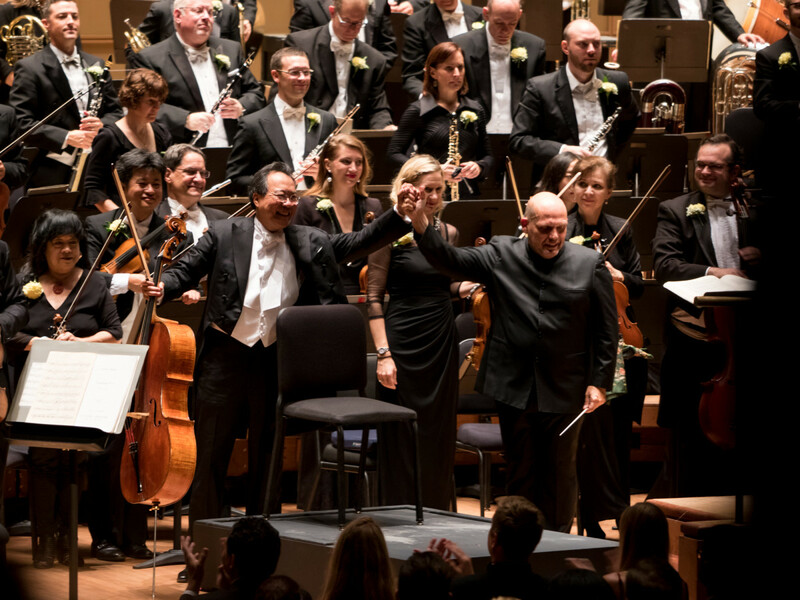 Of course, the standing ovations were also directed toward this year's special guest, internationally revered cellist Yo-Yo-Ma. 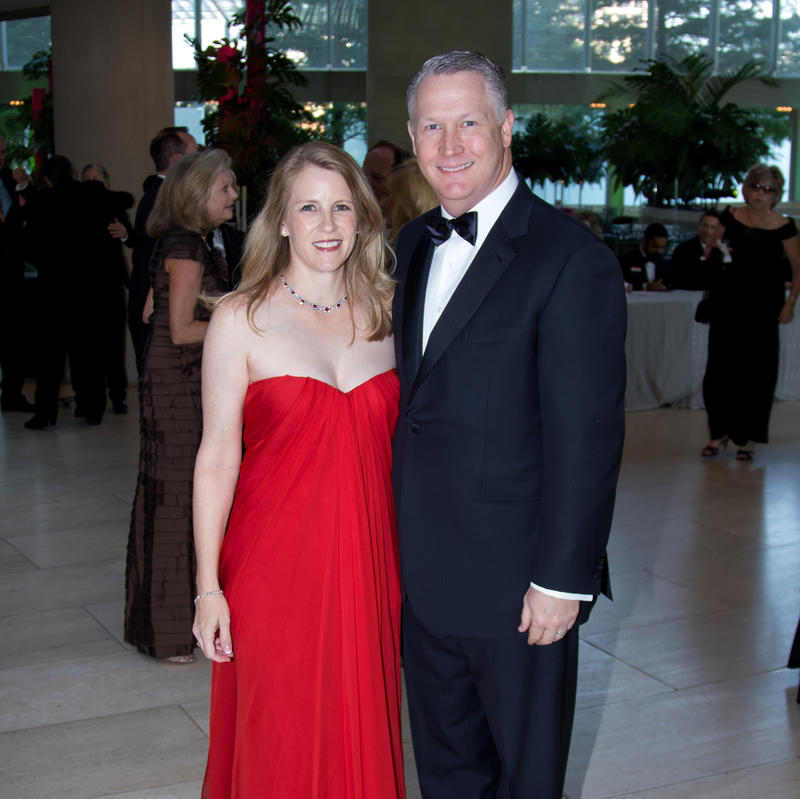 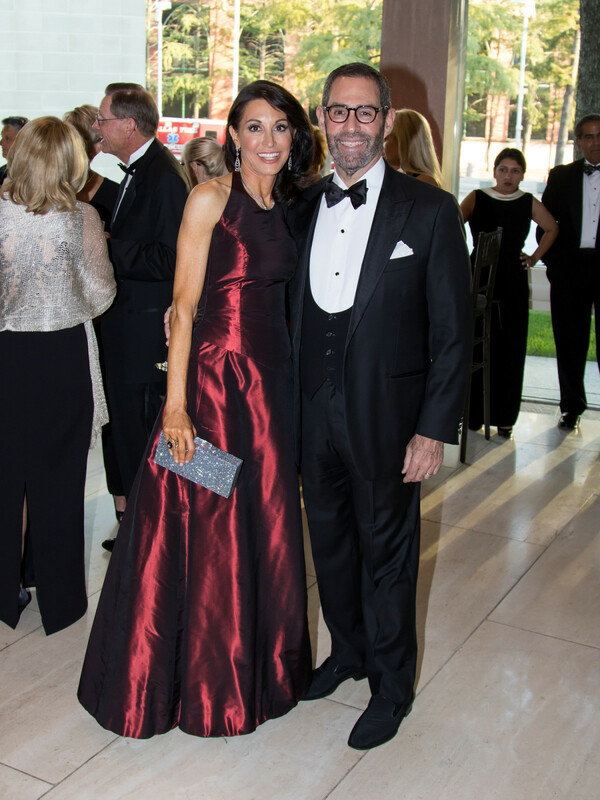 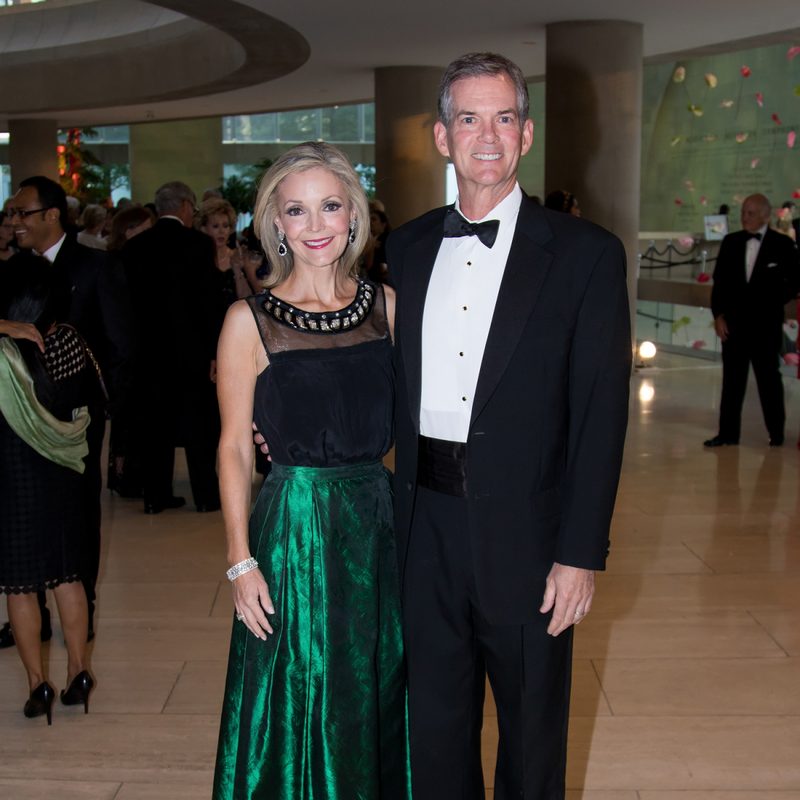 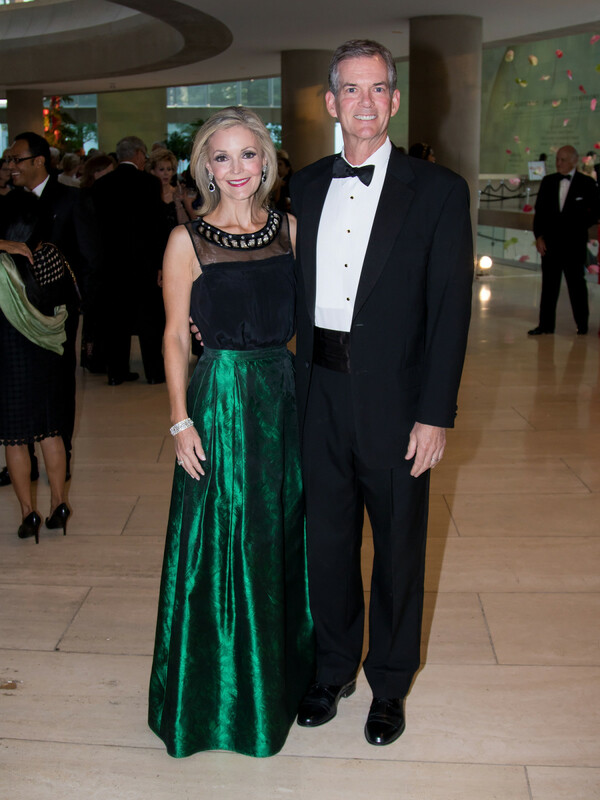 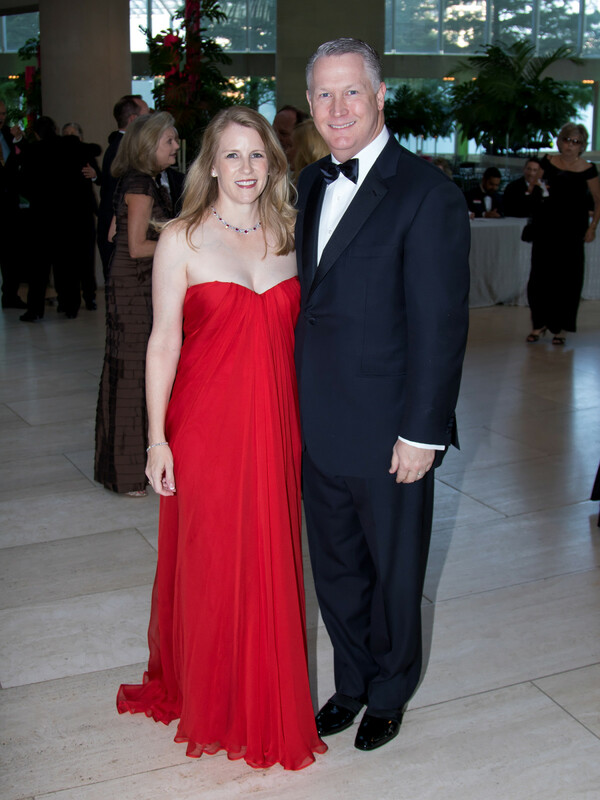 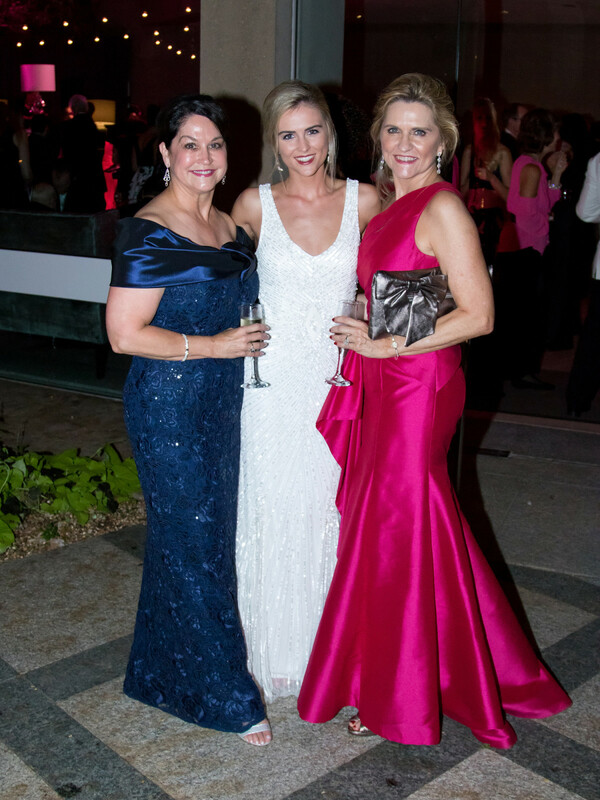 DSO Gala chairs Lisa and Clay Cooley secured the classical music superstar to entertain the crowd, which included Tiffany Divis, Kara Goss, Rhonda Marcus, Mayor Mike Rawlings, Allison Brodnax, Melissa Lewis, Mari Epperson, Lisa and Bob Segert, Barbara Daseke, Linda Snorina, Susan and Mark Geyer, and Jane McGarry. 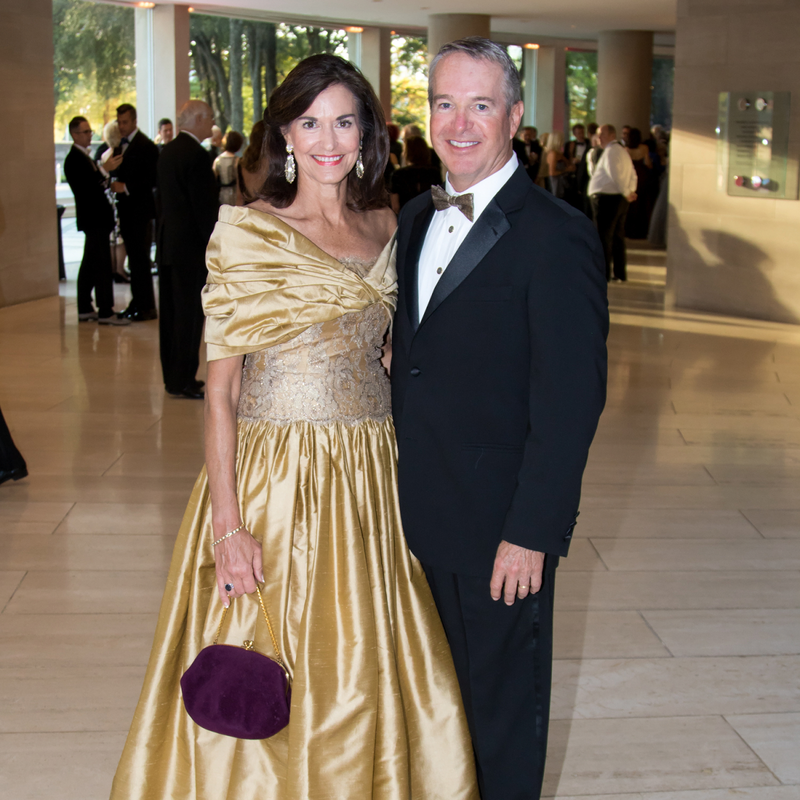 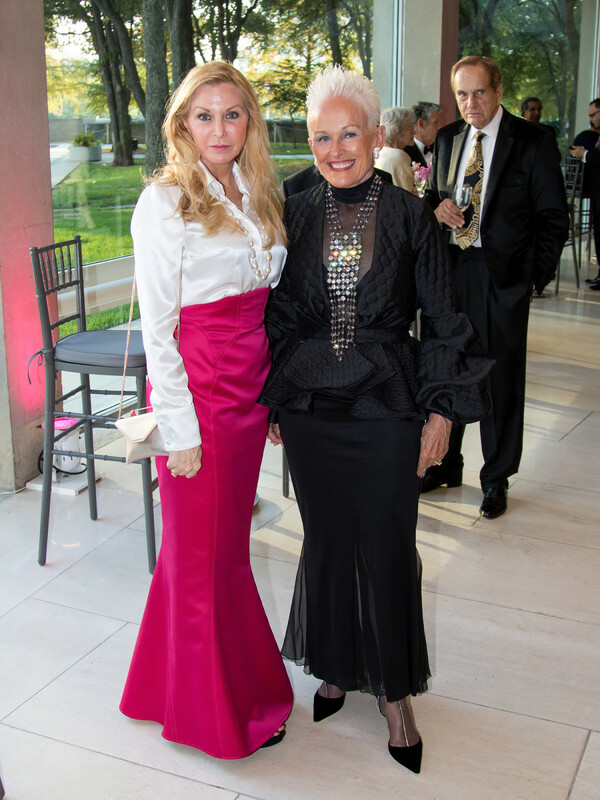 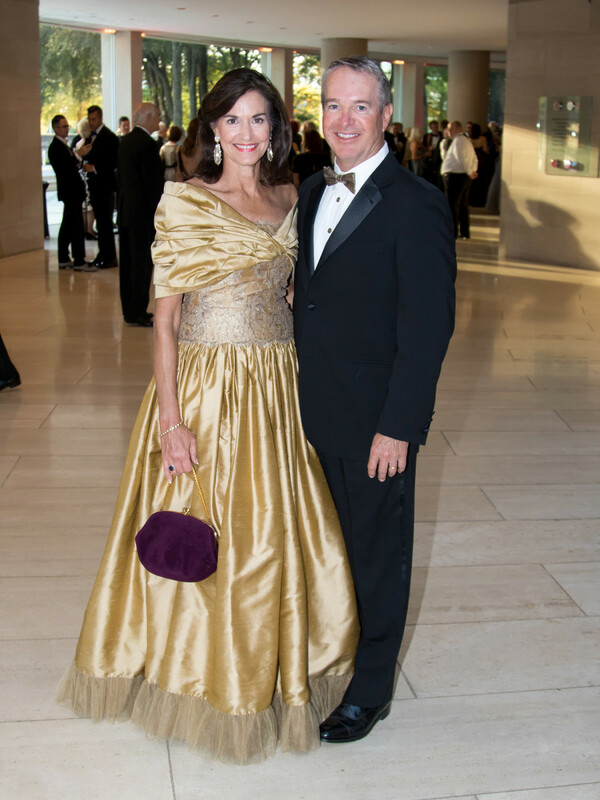 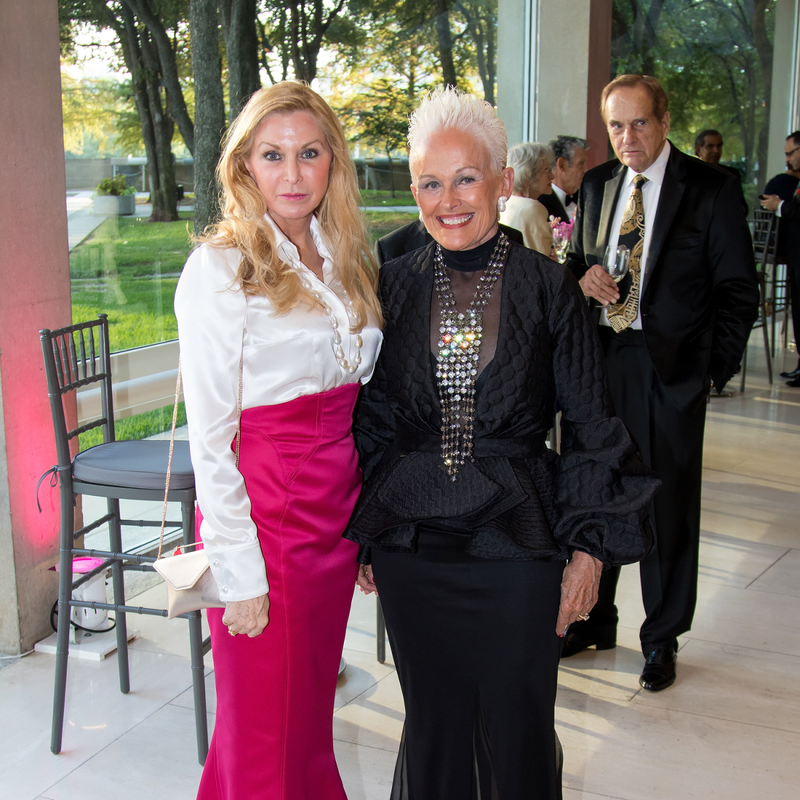 Gala honorary chair Margaret McDermott, who only the week before had been recognized for her generous philanthropy by the United Way, received her own round of applause in the concert hall named for her late husband, Eugene, at the Meyerson Symphony Center. 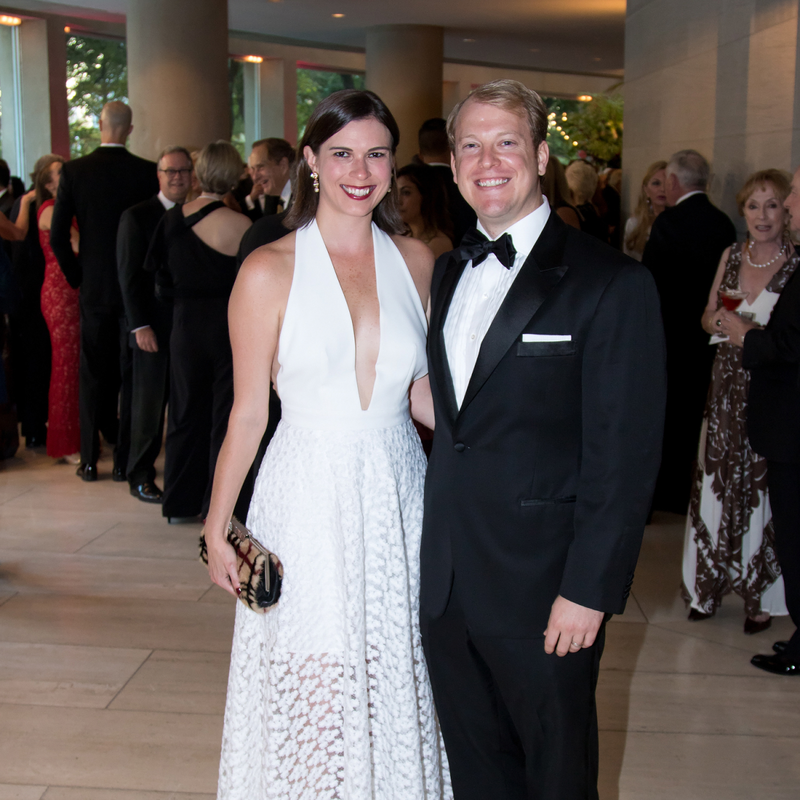 After the stirring program, guests made their way back to the lobby for a rockin' after-party chaired by Lara and Brian Pryor and Graeme Ross, and after-party honorary chairs Wren and Benji Homsey. 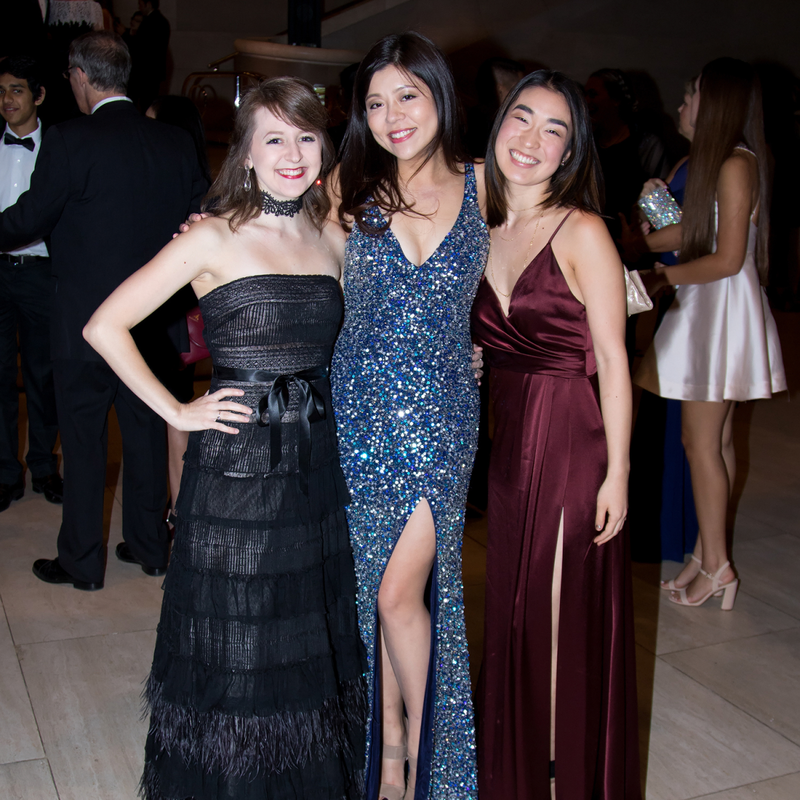 Ladies gratefully slipped off their heels and gentlemen untied their shoes for complimentary foot massages from the Ritz-Carlton Spa, which also provided Swarovski crystal-studded flip-flops. 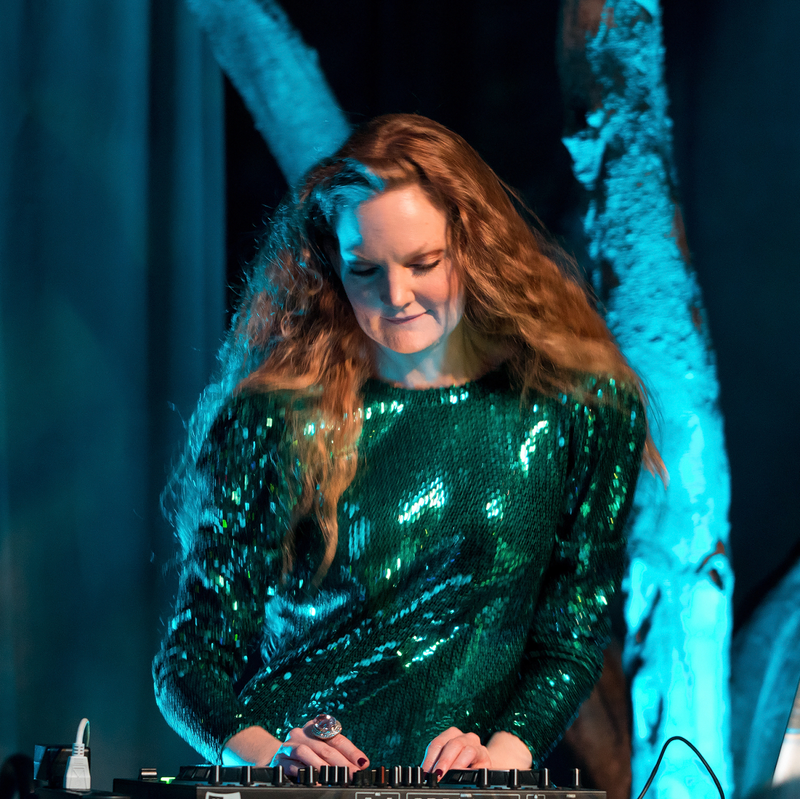 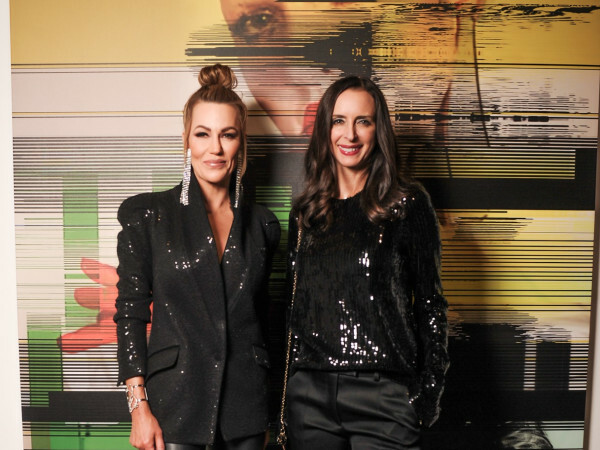 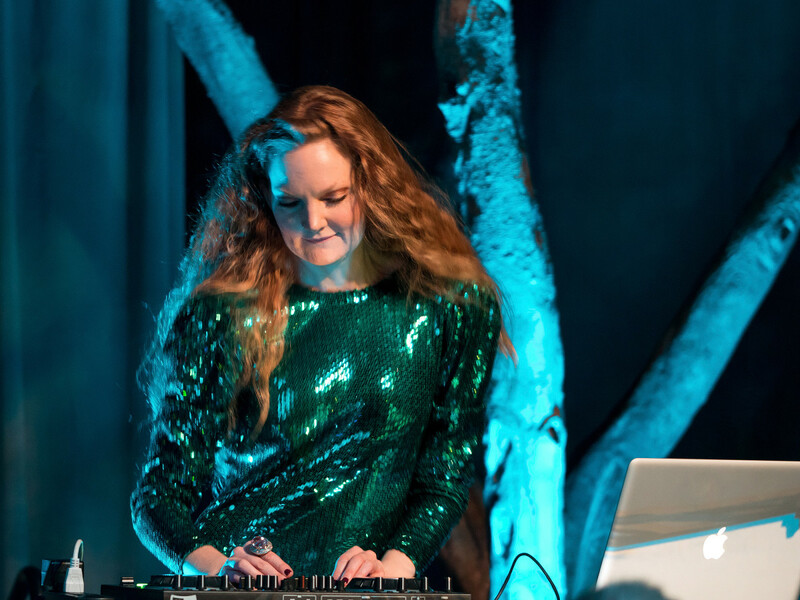 Those comfy, sparkly flats came in handy when guests hit the dance floor, which was continuously packed thanks to the DJ skills of Steffi Burns, who shimmered behind the booth in an emerald sequined dress. 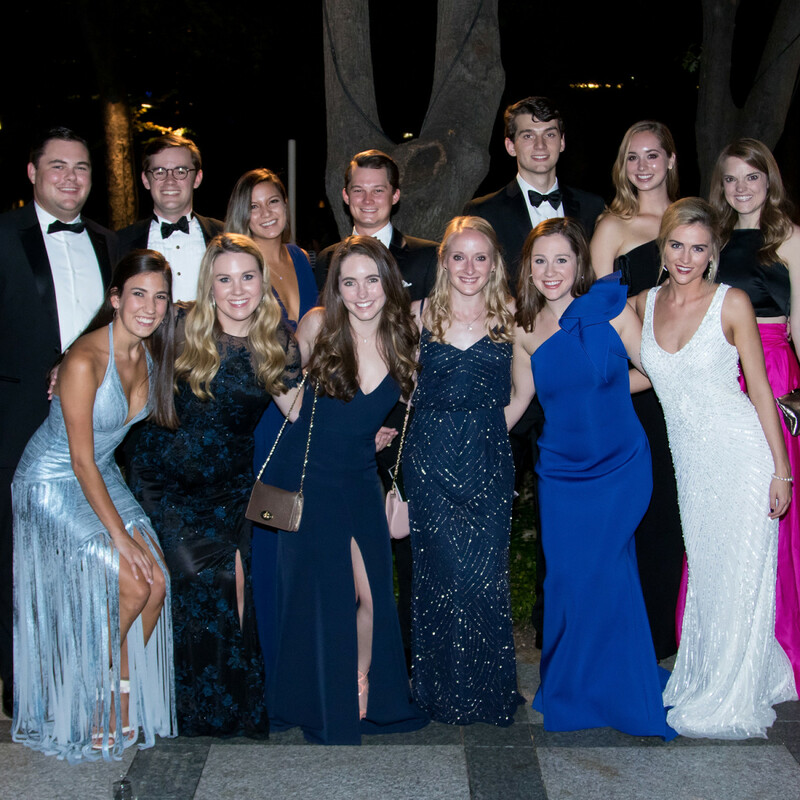 Margarita shooters and guacamole-topped chips from Fearing's kept energy levels soaring, with sweets from The Original Cupcakery also providing a sugar high and a coffee bar in the lobby offering a steady stream of caffeine. 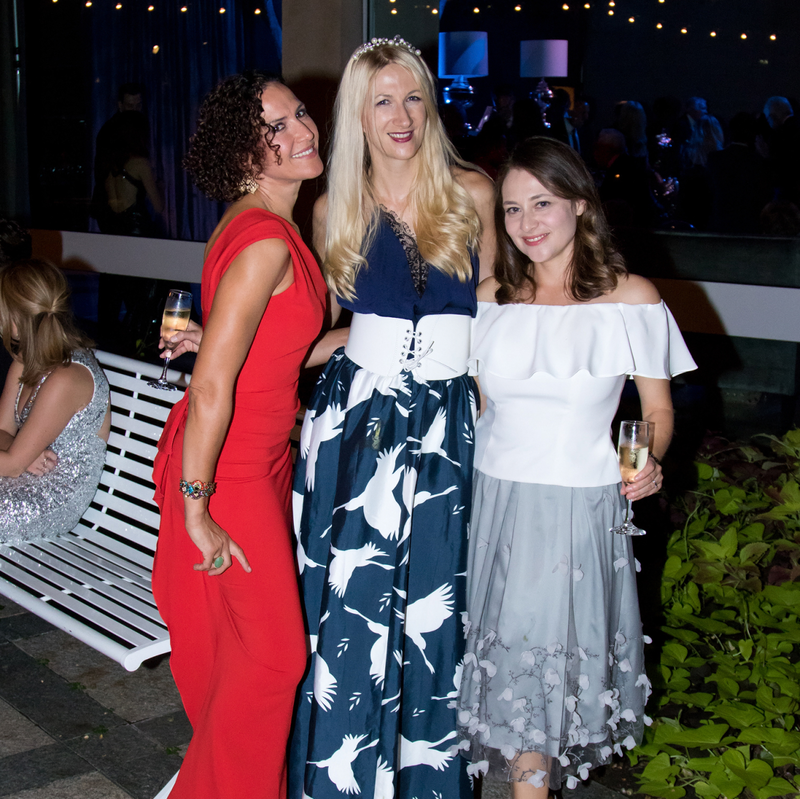 Patrons seeking a quieter time could escape to the softly lit courtyard, but by and large this year's crowd came to party. 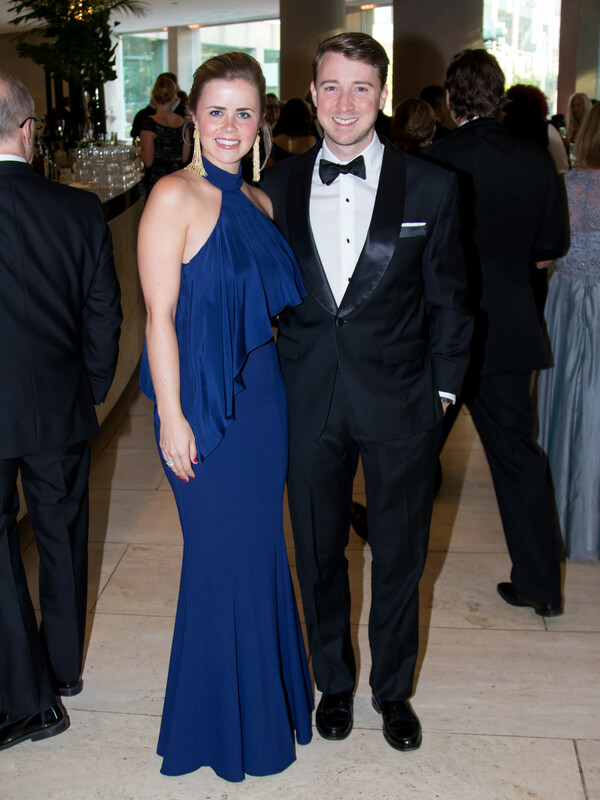 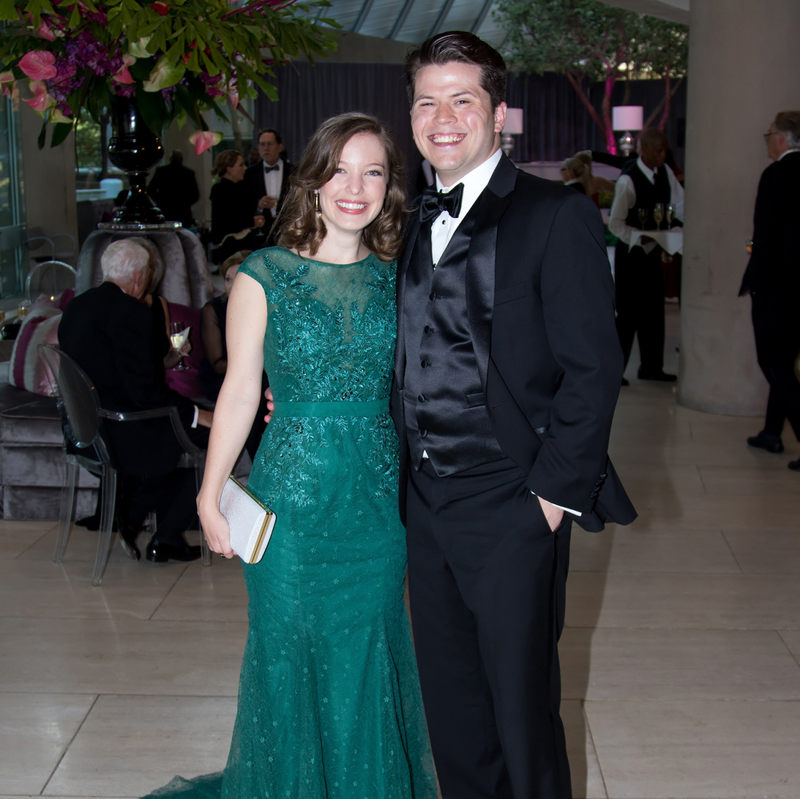 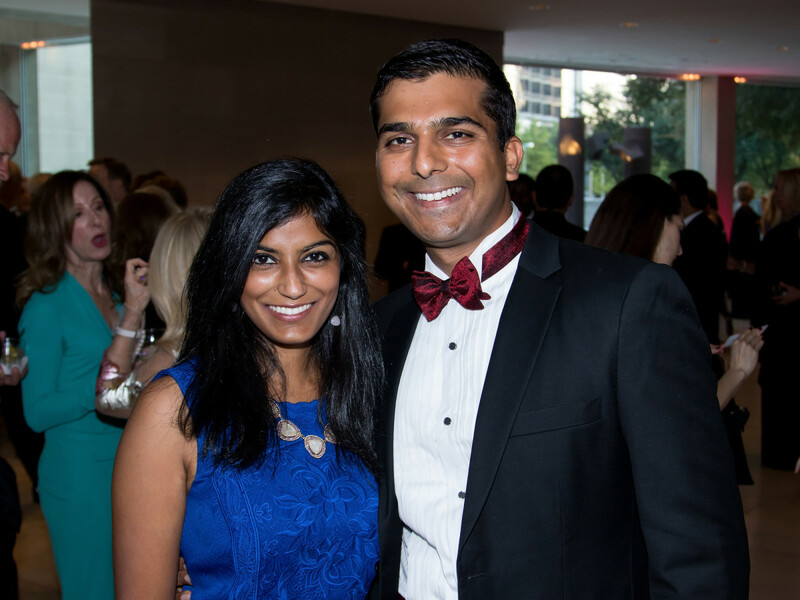 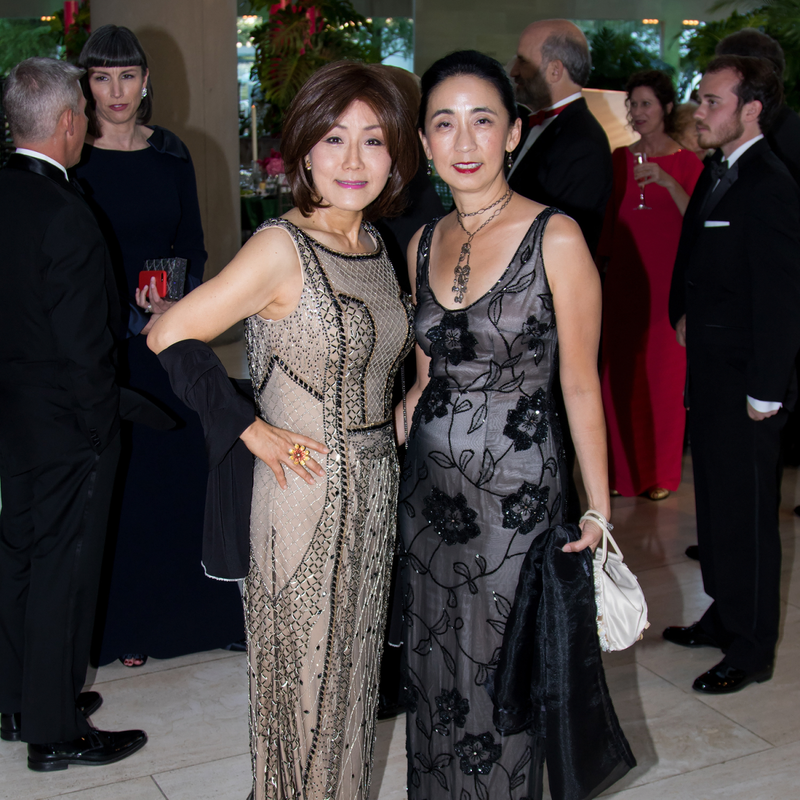 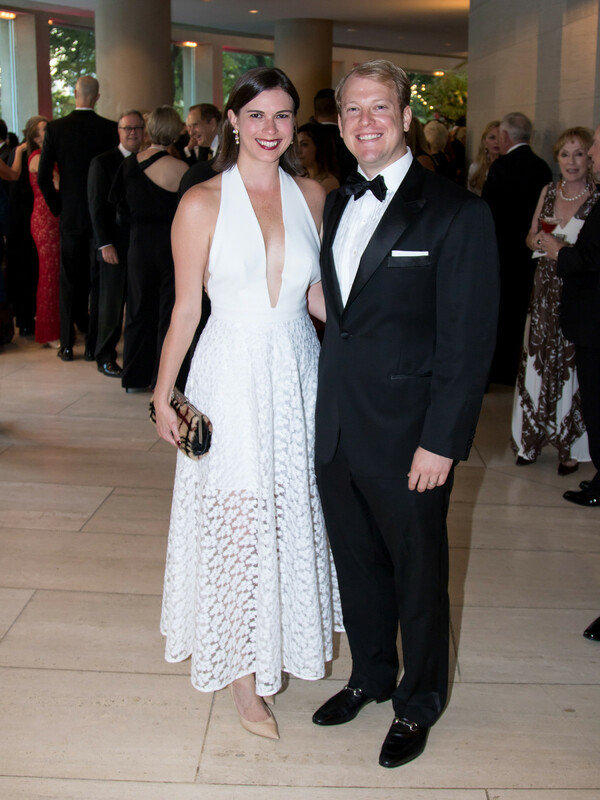 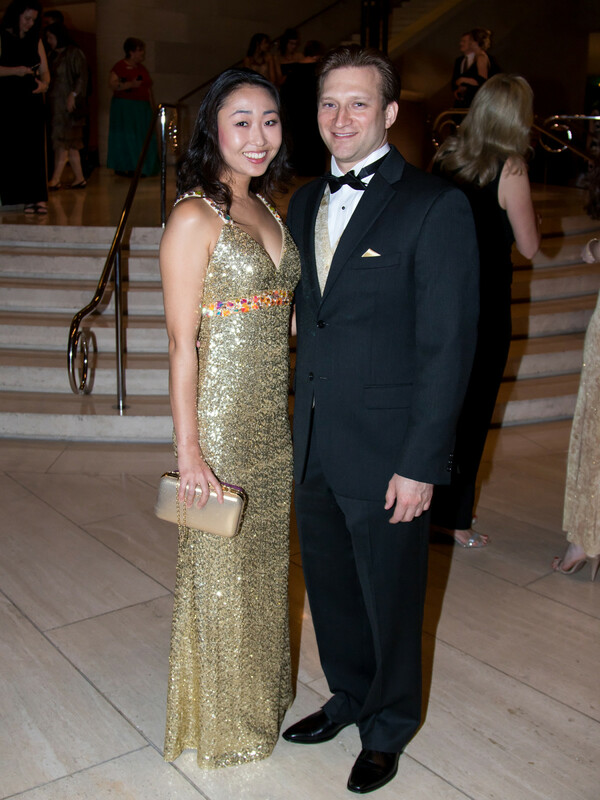 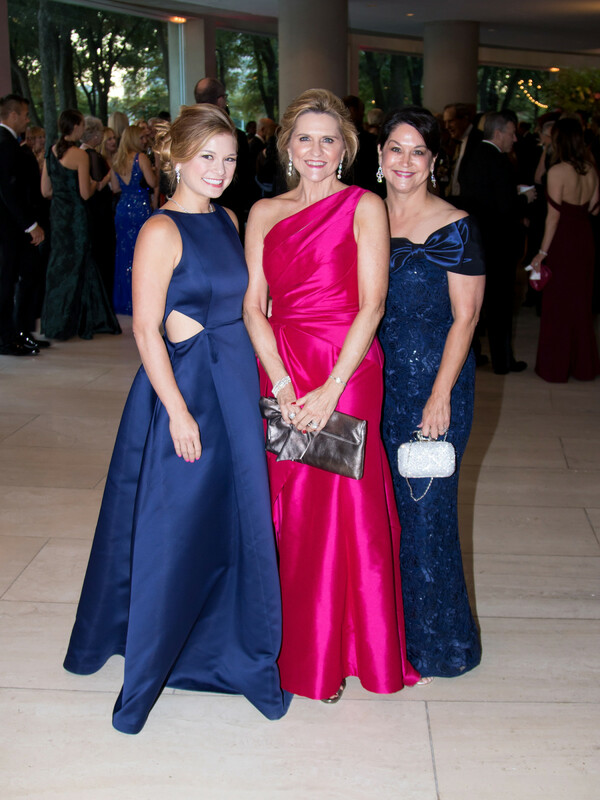 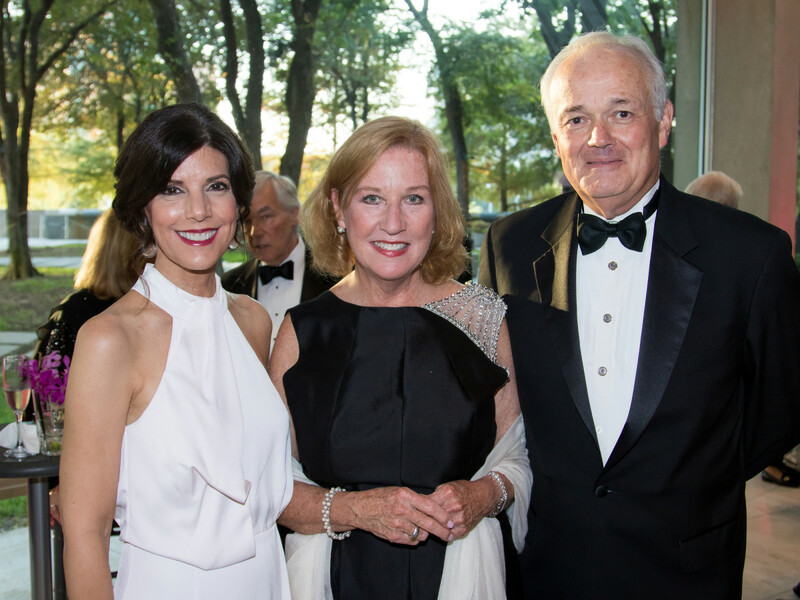 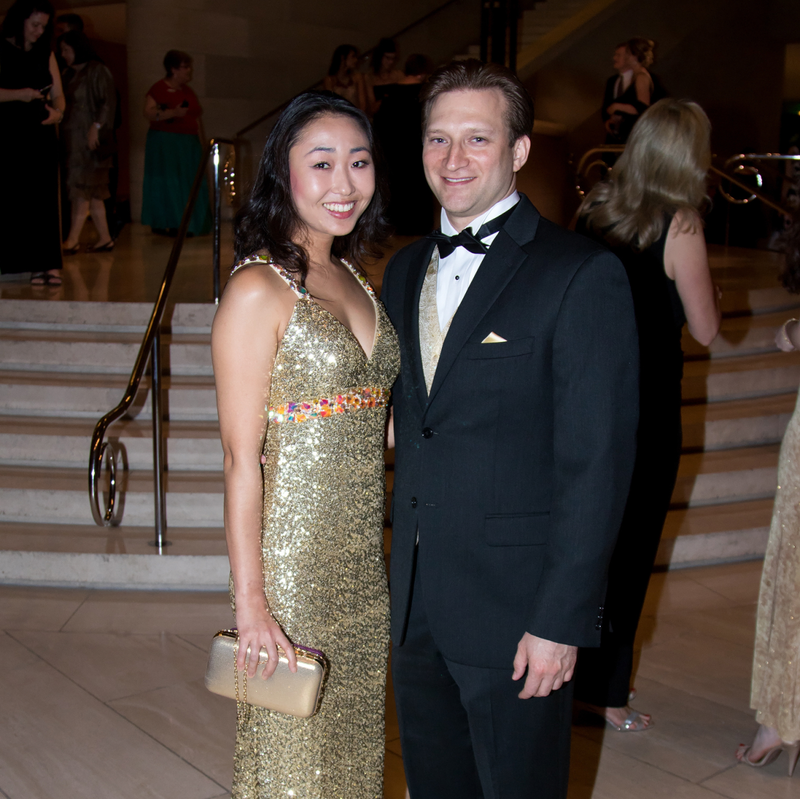 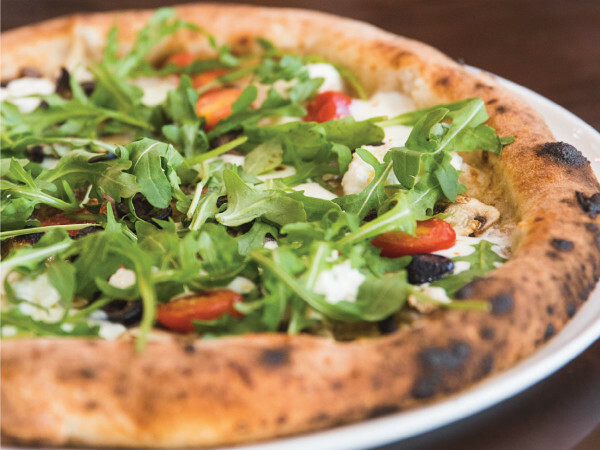 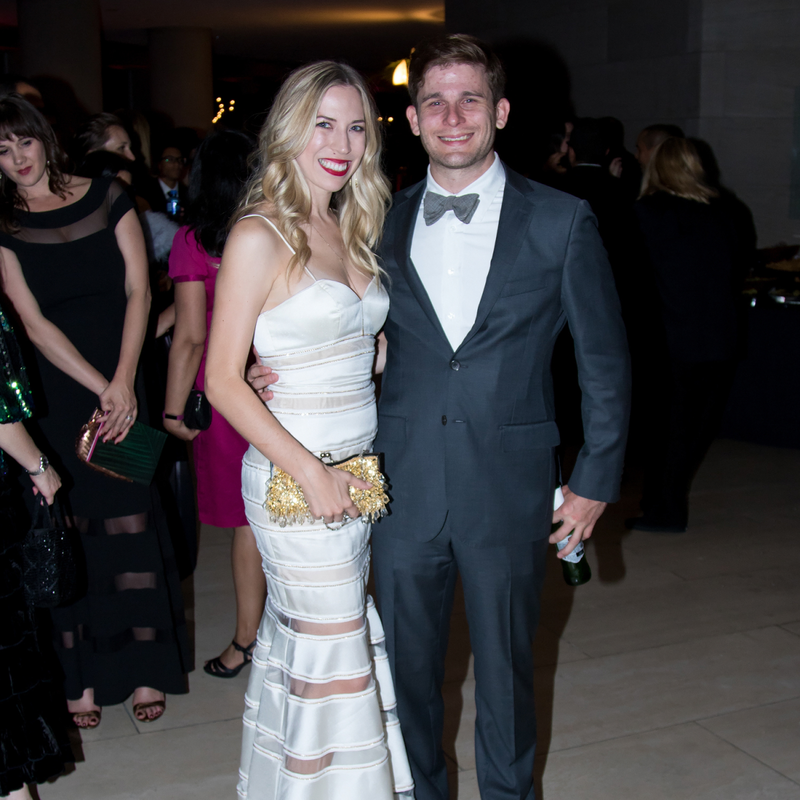 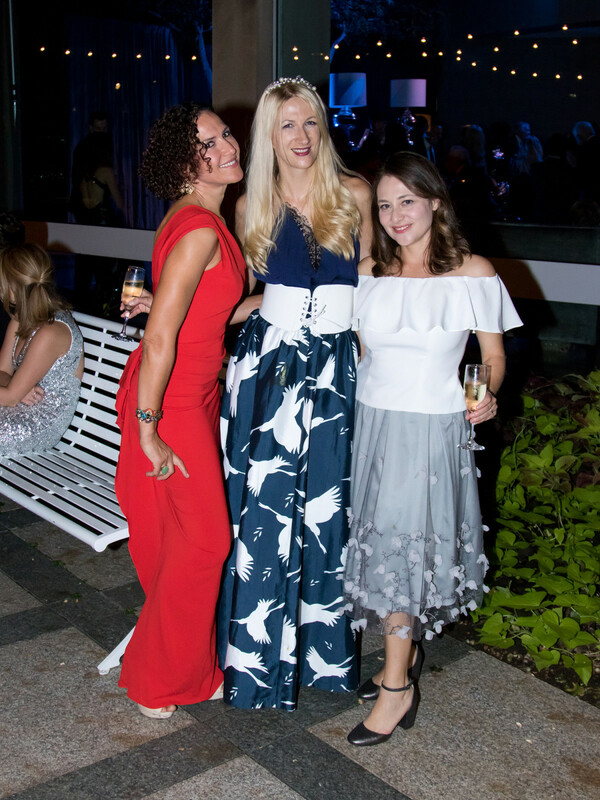 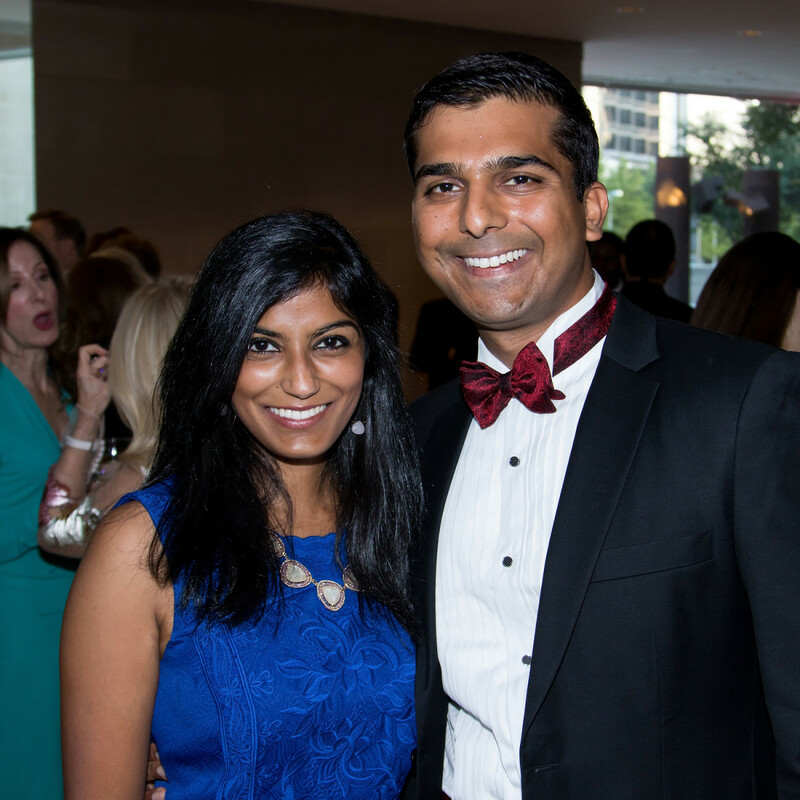 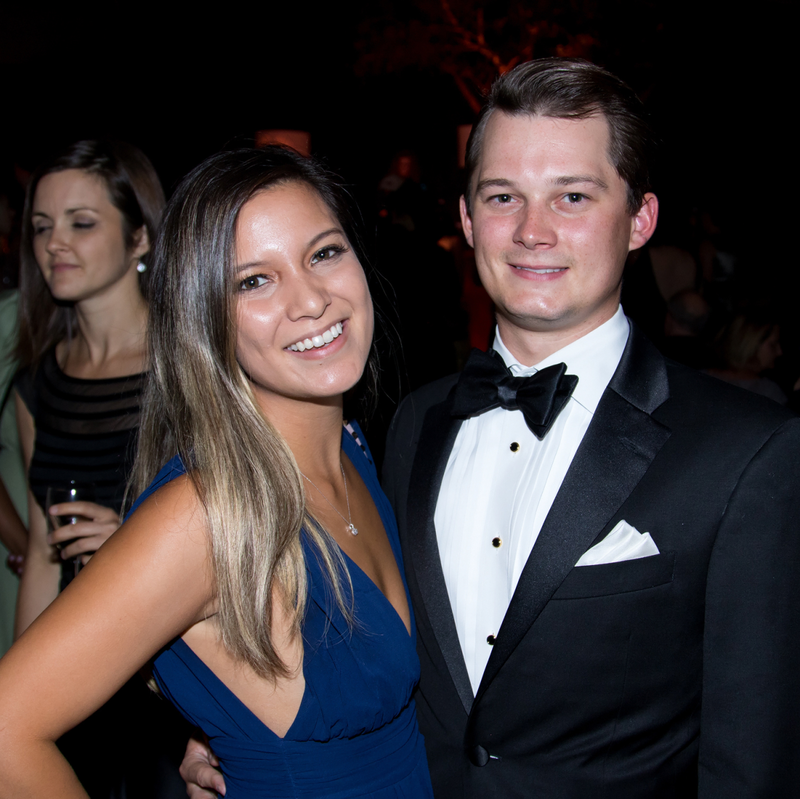 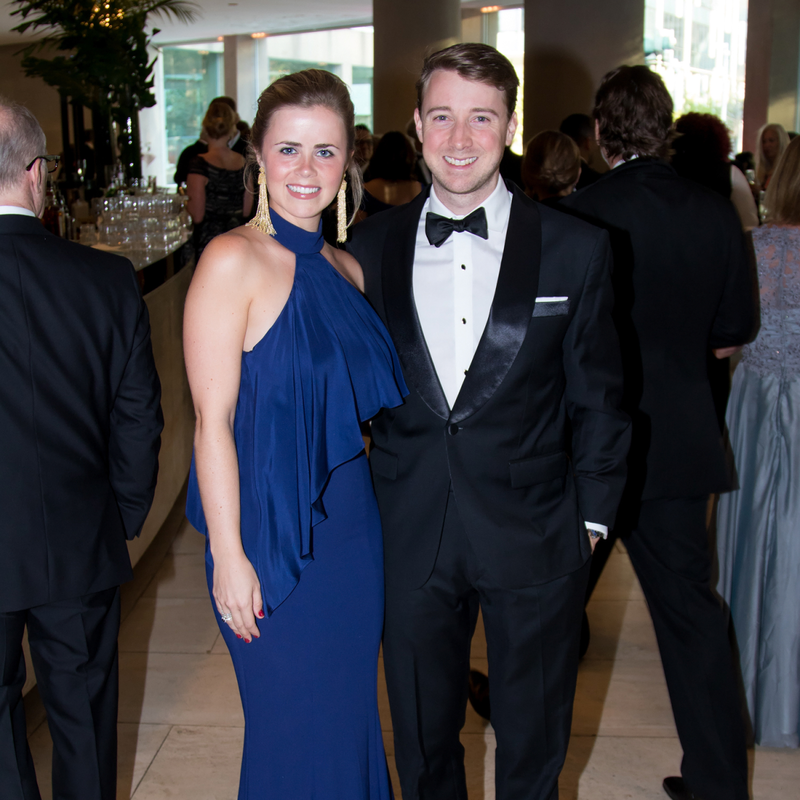 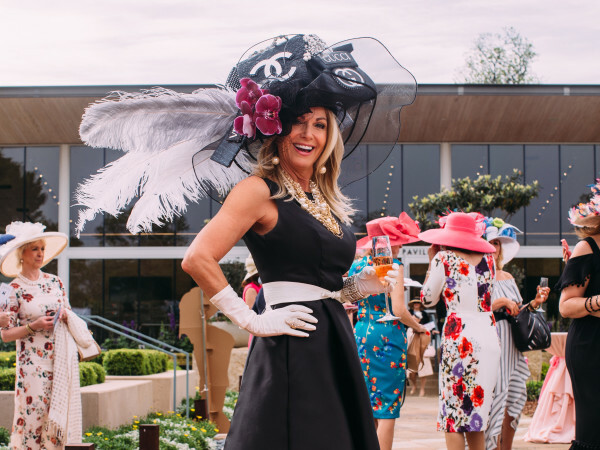 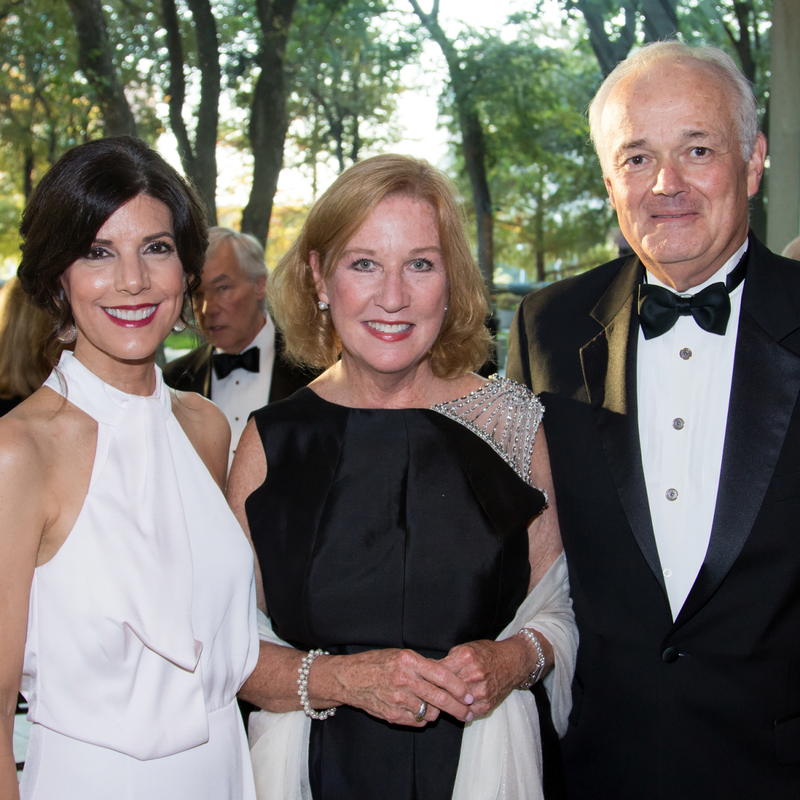 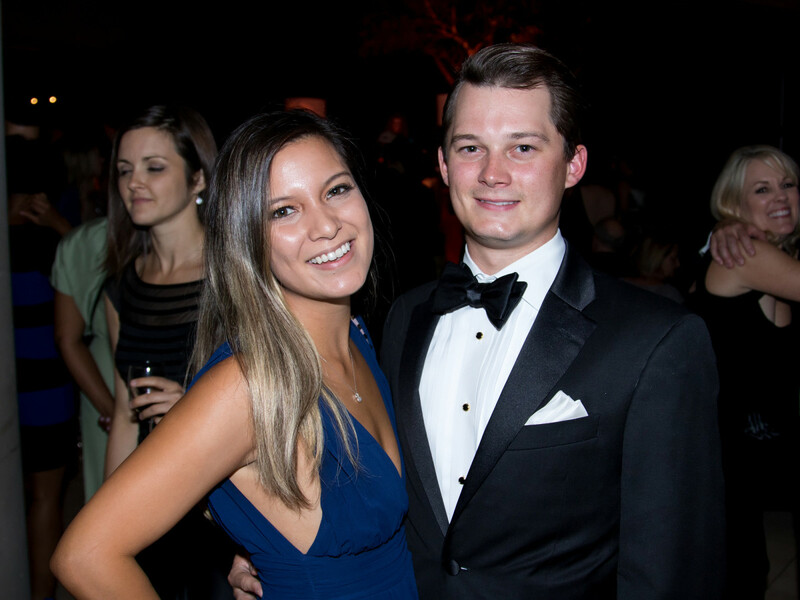 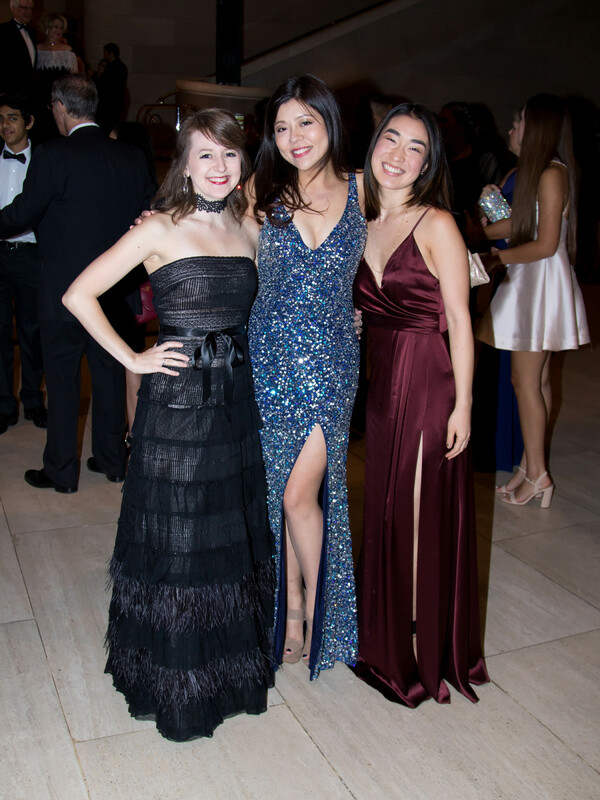 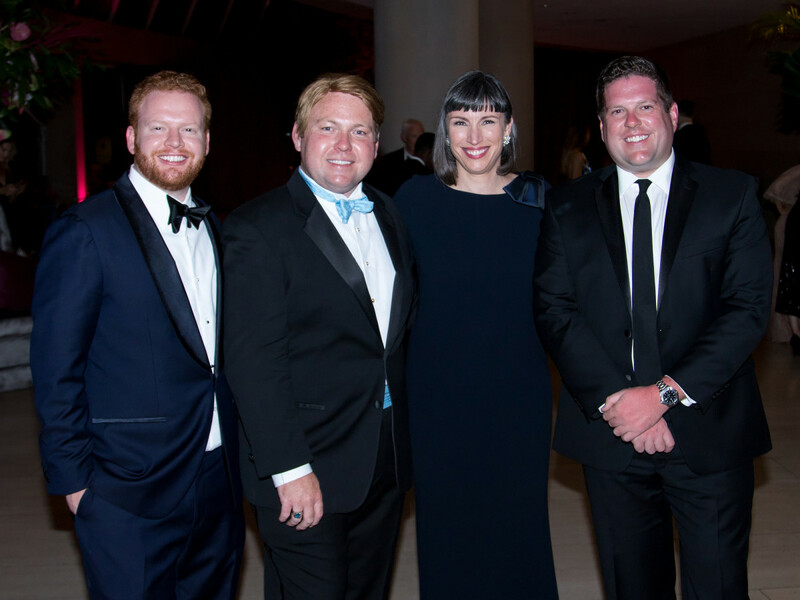 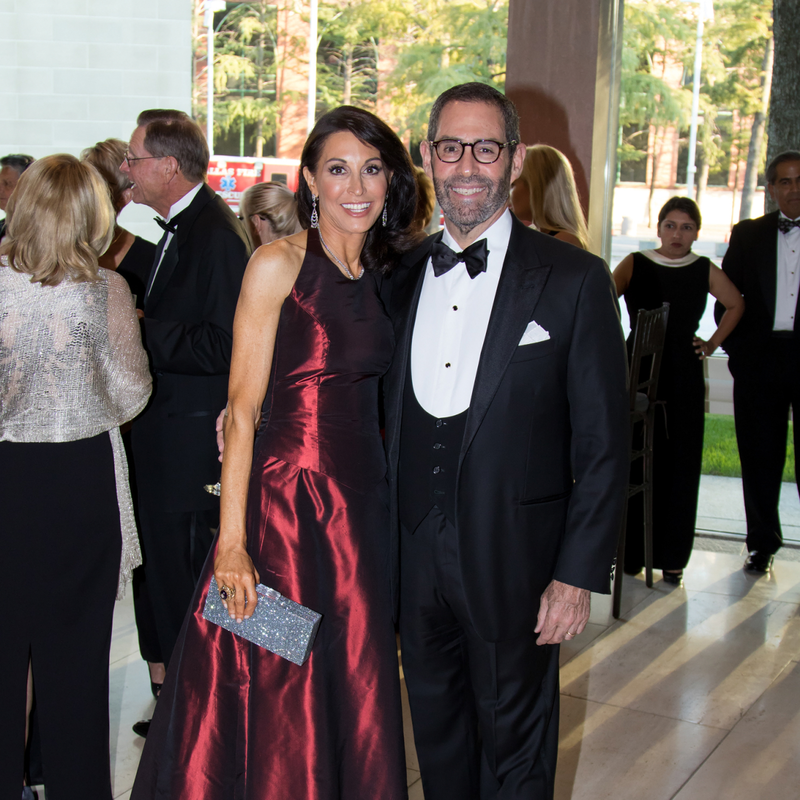 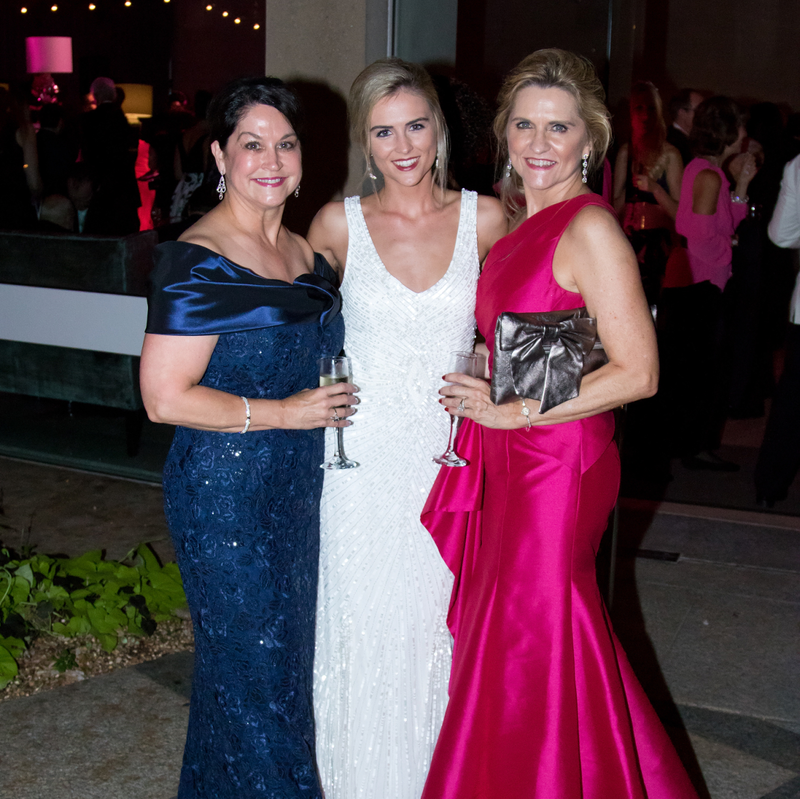 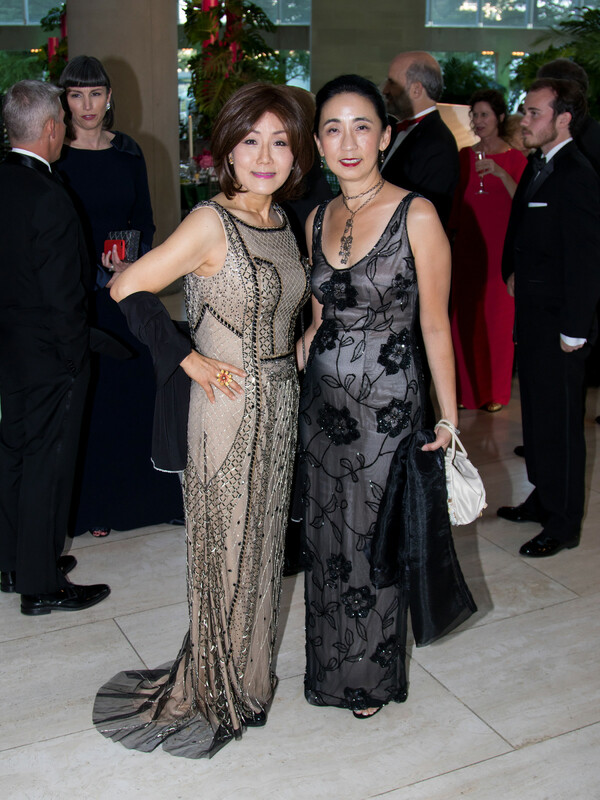 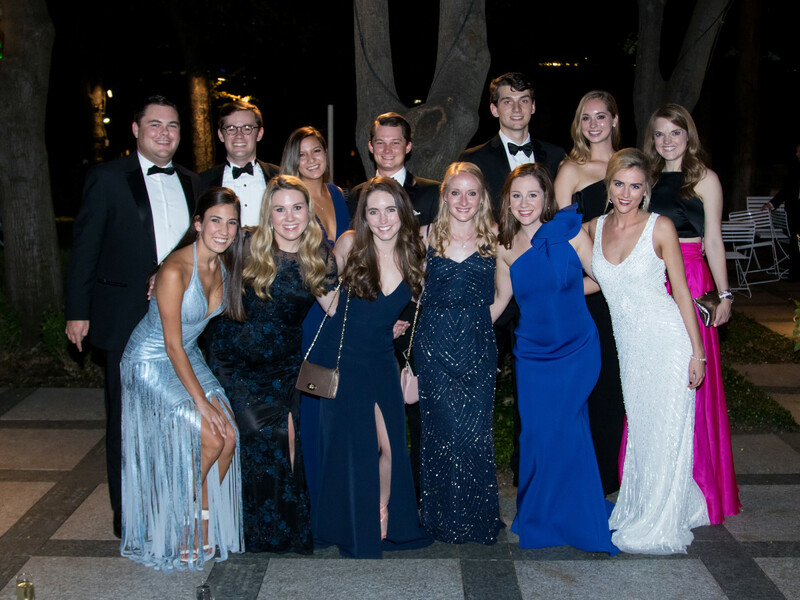 Proceeds from this year’s gala provide support to the Dallas Symphony Orchestra’s education and community programs, which reach 230,000 North Texas residents annually, 30,000 of whom are children.